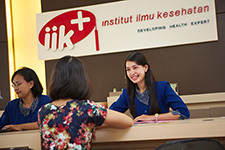 With the quality of learning process in IIK, graduates are equipped with the necessary skills, gain competence and valuable experience to shape them to become professional pharmacists. The laboratory facility provides both manual and digital tools so that students are fluent in working with a variety of equipments. Here there are laboratory facilities in S1 Pharmacy.